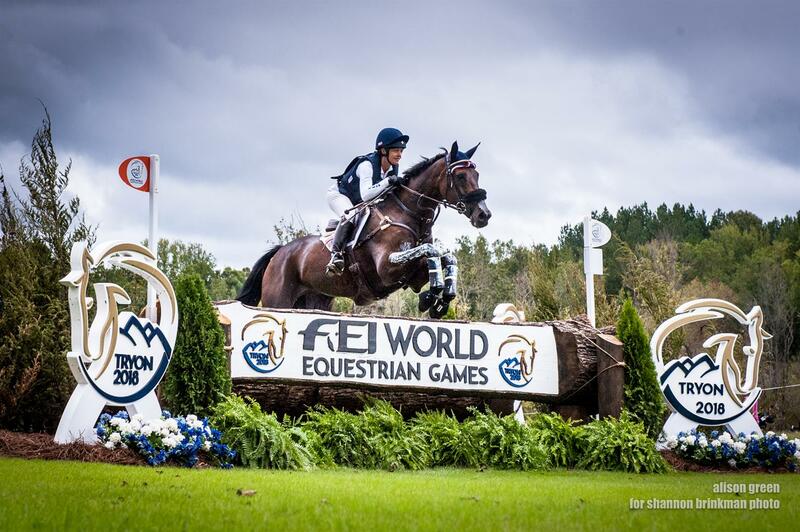 Mill Spring, N.C. – In their continued quest for Olympic qualification, the Land Rover U.S. Eventing Team tackled Captain Mark Phillips’s technical cross-country course at the FEI World Equestrian Games (WEG) Tryon 2018. All U.S. team combinations completed the world-championship track and are in eighth place on the leaderboard, which is within reach of the threshold to punch the U.S. ticket to the Tokyo 2020 Olympic Games. With Japan currently sitting in fourth and a secured Tokyo 2020 spot as the host nation, the U.S. team needs to place seventh or better to secure their own Olympic team qualification. Lynn Symansky and Donner are in ninth place as the highest U.S. pair after the second phase. Symansky (Middleburg, Va.) made light work of the challenging track on the White Oak Course with longtime partner Donner. Symansky and The Donner Syndicate, LLC’s 15-year-old Thoroughbred gelding had a textbook round to finish the phase double-clear to head into the show jumping phase on their dressage score of 28.3. Phillip Dutton (West Grove, Pa.) and Z served as the anchor combination for the U.S. and had an excellent round. Dutton demonstrated his reliability by piloting the 10-year-old Zangersheide gelding owned by Thomas Tierney, Simon Roosevelt, Suzanne Lacy, Caroline Moran, and Ann Jones home with only 6.4 time penalties. The duo moves forward with a score of 34.0, putting them in 21st place on the leaderboard. Boyd Martin (Cochranville, Pa.) and Tsetserleg were having a great round until they got to an odd stride at 10B of the Mars Sustainability Bay water complex and collected 20 jumping penalties. Martin and Christine Turner’s 11-year-old Trakehner gelding finished the course strongly, though tallied 11.6 time penalties. They sit in 54th place on a score of 58.7. 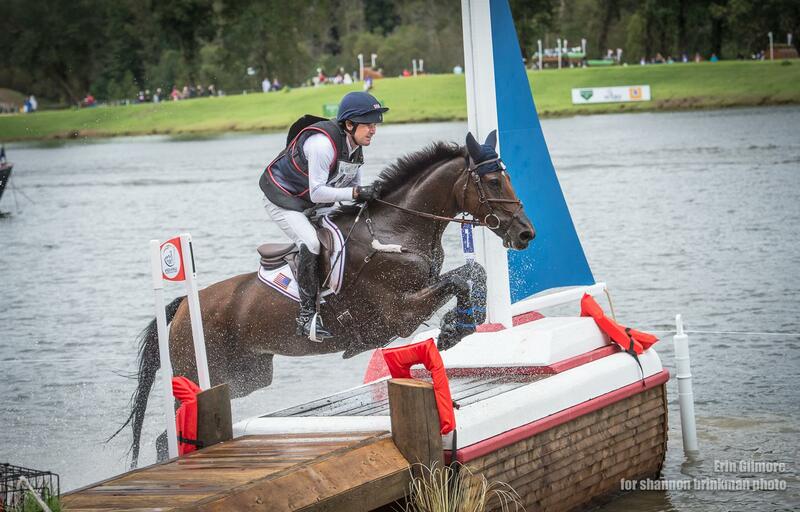 Will Coleman (Charlottesville, Va.) and Tight Lines, The Conair Syndicate’s 11-year-old French Thoroughbred gelding, were the pathfinders for the U.S. team. While they had a miscommunication at 10C of the Mars Sustainability Bay water complex and at the 14B of the CSX Junction corner combination, Coleman brought back valuable information about the course to his teammates before their rides. They are in 68th place on a score of 87.2. Individual combination Lauren Kieffer (The Plains, Va.) and Vermiculus, Jacqueline Mars’s 11-year-old Anglo-Arabian gelding, were having a solid round until 18A of the Land Rover Turn combination when Kieffer fell on the landing side after a sticky moment. Both horse and rider were fine. The final horse inspection will take place Sunday at 3 p.m. ET. Due to incoming weather from Hurricane Florence, competition now will conclude on Monday with the show jumping phase in the U.S. Trust Arena and will be streamed live on FEI TV.